I’m new to blogging and it was taking me ages to understand how to set-up my blog, get the layout right and generally get started. I’m a great believer that if you don’t know the answer to a question, ask an expert. Social media makes it easy to find experts particularly with regards to social media; to find some helpers I posted the Zurich Bloggers Event on Glocals (a swiss regional networking site) and put a message out on my Twitter account. Result: 10 experts came along ready to help and share their ideas! 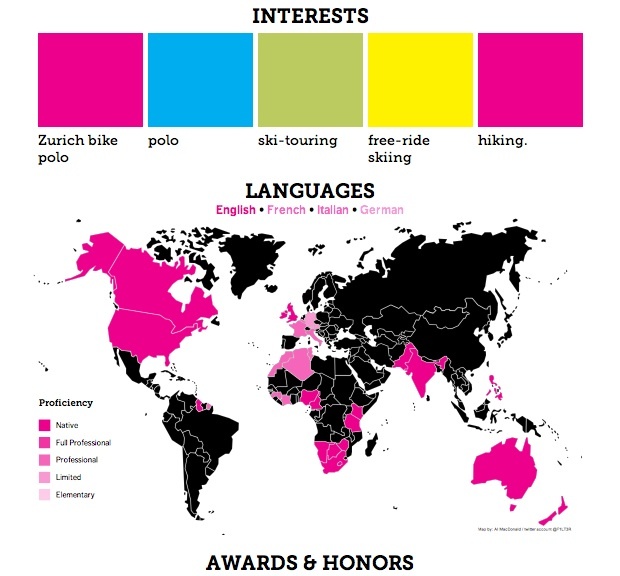 I set-up a Zurich Bloggers Forum to help answer my own questions but also to help others with their blogs, get feedback or even to start blogging. Our first meeting a few weeks ago drew a lively crowd of people with great blogs on varied subjects. We had everything from Lucille’s blog on beautiful Zurich fountains to Laura’s creative blog which she describes as “a comfortable corner of my mind open to the public”. One of the first topics we chatted about was SEO or Search Engine Optimization. This is basically about helping people to find your blog more easily. By making a few easy changes, you can make your blog more visible and readable to search engines. There are lots of simple steps such as making sure that your title matches your content and try and use these same words in the content of your blog post (hint! look at the number of times I’ve used the word Zurich, Bloggers, Blogs). A second tip was to register your blog with blog directories such as Technorati.com this will help with your Search Engine Optimization and our forum members report that it does work. I’ve just spent the last few minutes registering my blog on this site. I now have to insert this code 68UE3Y77UUWF into my blog. Done! And registration will be complete. For further information on blogging, writing and meeting people with ideas, come along to our Zurich Bloggers Forum, 20.00 Tuesday, 22/11/2011, Starbucks, Bellevue. See you there! 90:9:1 Breaking the Social Media Engagement Rule – The Lurkers, Commenters and Creators galvanised by the children’s charity CBSM Kimilili in Kenya. 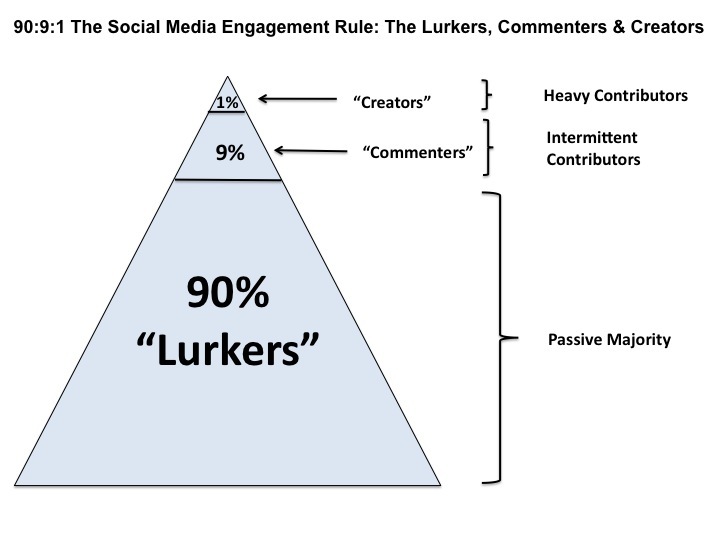 On social media platforms 90% of people are lurkers, 9% are commenters and just 1% are creators (Nielsen, 2006). This is a widely used rule in social media. Pretty amazing isn’t it? However, when you start to think about it, it sort of makes sense. Take a look at your Facebook posts; see how many of your friends have commented on a post and then using this rule you can get an idea of how many have actually looked at this post. This tells us something about the human spirit. Most of us are lurkers; checking our friends’ photos and comments but only responding some of the time. In general, we are quite happy to sit back passively on the sidelines. Sometimes though, those lurkers and commenters can be galvanised behind a cause to become active participants too. Away from Facebook, consider the wider implications of the social media rule for gathering support. 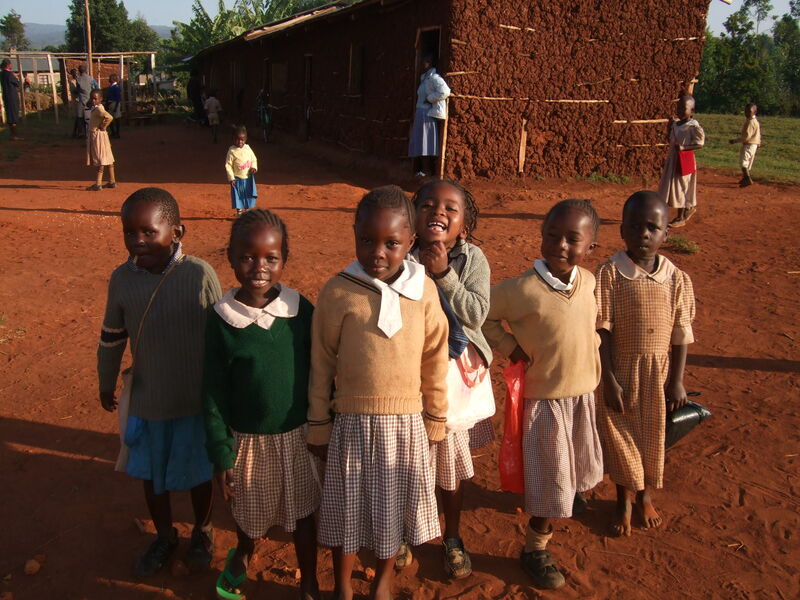 Let’s take a look at a children’s charity called CBSM Kimilili in Kenya. 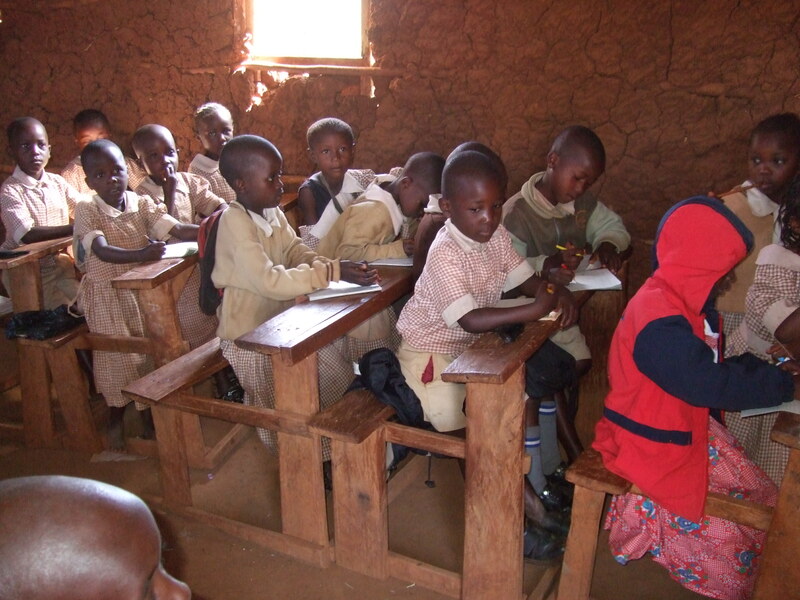 One year ago, two young women travelled to the small town of Kimilili in western Kenya to teach at the local school. On their arrival, Agnes Kuehne and Alexandra Frick were shocked to see that the site had no toilets, no water, and a single classroom for all age groups. CBSM Kimilili relies on donations for its continued existence supporting the development of the youngsters in its care. During their stay, Alex and Agnes blogged each day telling the world about the little school, its wonderful pupils and inspiring staff. From an anonymous start, word spread virally on the Internet about this remarkable story. During their stay the blog was receiving over 200 hits per day. Through social media new friends and supporters were made and old acquaintances got in touch. A friend of Agnes by chance stumbled across the blog and inspired by what he saw freely gave his time to design their homepage. Since July it has received over 9,500 hits. CBSM Kimilili’s social media usage of Facebook, blogging platform and website are the lifelines for continued funding and development of the school. It is those 90% lurkers and 9% commenters who, inspired by Alex and Agnes’ creative efforts are no longer passive but are actively helping provide schooling and support to the children of Kimilili, Kenya. How will you galvanise your lurkers to become active participants? In order to help your business, the question you should ask yourself is; how can you galvanise your lurkers? If you get it right, the rewards are great; these people can become active supporters of your business. To give you some ideas you may want to check out the blog and homepage of Kimilili – you may even find yourself contributing.